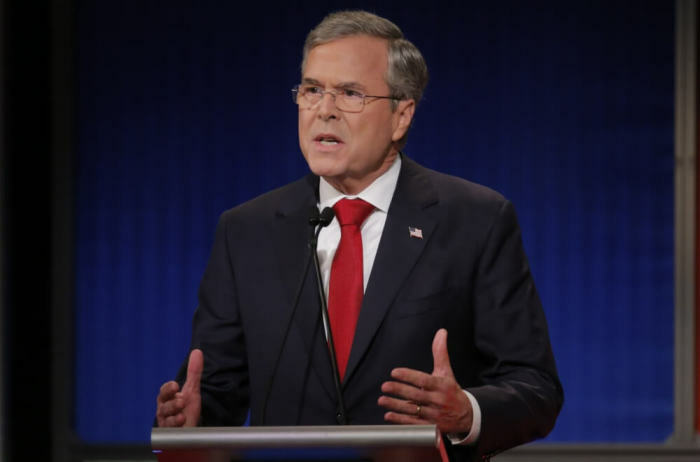 Jeb Bush, the former governor of Florida, revealed that his mother, former first lady Barbara Bush, talked to him about Jesus Christ in their last meeting before she died last week. Speaking before close to 1,500 attendees at his mother's funeral at St. Martin's Episcopal Church in Houston on Saturday, Bush said that in their last visit together, they talked about their Christian faith. "Jeb, I believe in Jesus and he is my savior," she told him when he asked her about her feelings on death, according to CNN. "I don't want to leave your dad but I know I'll be in a beautiful place." The Saturday service included high-profile former political figures, including first lady Melania Trump, Barbara Bush's husband and son (former Presidents George H.W. Bush and George W. Bush), along with other past presidents and first ladies, namely Barack and Michelle Obama, and Bill and Hillary Clinton. "We learned to strive to be genuine and authentic by the best role model in the world," Bush added of the legacy of his mother. During the service, six of Bush's grandchildren, all women, each read a section from the Book of Proverbs, beginning with the lines, "Her children rise up and call her happy; her husband too, and he praises her: 'Many women have done excellently, but you surpass them all.'" Barbara Bush, who was a lifetime Episcopalian, said in the final few years of her life that she has no fear of death. During a C-Span interview in 2013, the then-88-year-old Bush affirmed that she is a "huge believer in a loving God." "And I have no fear of death, which is a huge comfort because we're getting darned close," she said. "And I don't have a fear of death for my precious George or for myself because I know that there is a great God," she added, referring to her husband. Historian and author Jon Meacham, who wrote a biography of George H.W. Bush and was one of the three eulogists whom Barbara Bush selected before her death, said on Saturday that the former first lady was "candid and comforting, steadfast and straightforward, honest and loving." "Barbara Bush and George Bush put country above party, the common good above political gain and service to others above the settling of scores," Meacham added. In an emotional moment, Jeb Bush read one of his father's letters to his mother on their anniversary. "You have given me joy that few men know ... I have climbed perhaps the highest mountain in the world, but even that cannot hold a candle to being Barbara's husband," he read one such letter from 1994, according to Reuters. While his son was reading, the 93-year-old former president "squeezed his eyes shut and wept."